The report of the voyage into Thailand and Vietnam shows us that Mr. Ray Mersmann visited these two countries to have a look at the Ridgeback in Asia. 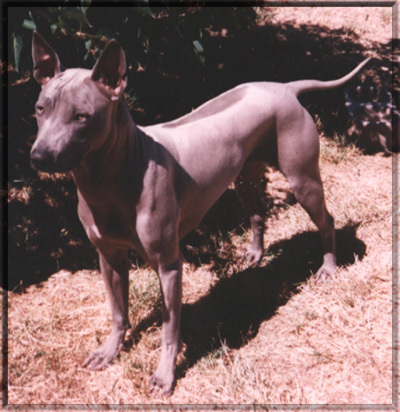 It concerned the officially registered Thai Ridgeback as well as the (not officially registered) Phu Quoc Dog. It is not unlikely that both "breeds" could have a mutual relationship not only based on the phenomenon of the ridge but an geographical considerations as well. 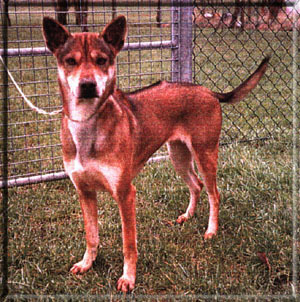 First, it would be extremely improbably that at the same time, in two different parts of the world-Africa and Asian the same spontaneous mutation could take place, resulting in ridged dogs. Secondly, for centuries trade channels took place between the East Coast of Africa and Asia and both the languages indicate possible contacts or exchanges between these two parts of the world. Today there is no clear evidence of any genetic relationship between the ridge bearing dogs. To investigate any relation we have planned to perform DNA analysis on blood samples from these dogs. 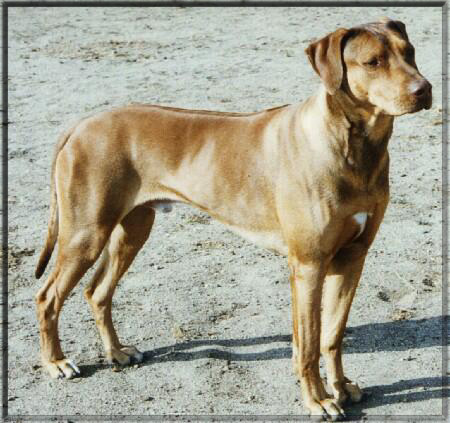 The aim of the study will be to determine if the resemblance of the two Ridgeback populations is increased compared to two unrelated breeds and at the same time decreased with regard to two breeding lines. By means of investigation of several blood samples of Thailand Ridgebacks and Phu Quoc Dogs, collected by Mr. Ray Mersmann, and, in combination with analysis of collected blood samples of Rhodesian Ridgebacks and other dogs living in Europe. We do hope to complete the research in the period 1993-1994. As a matter of fact, research on DNA concerning dogs is quite a new development. Therefore results will not be available in due course. The research will be done by Dr. J. Rothuizen, Dr. J. A. Lenstra and myself at the Veterinarian Faculty of the University of Utrecht/Holland. The project is an official project of the above mentioned Faculty.